First Floor and Corner/End unit condominium 2 Bedroom, 2 Bathroom. Brand new A/C unit 2018- Open Living/Dining/Kitchen Space with Wide Crown Molding and Window Shades. Off Dining Room is Built-in Desk Area plus Door to Private Covered Patio. Kitchen features, Breakfast Bar and Closet Pantry. Inside Laundry Utility Closet. Master Bedroom has Walk-in Closet plus Full Bath and Linen Closet. Guest Bedroom has Walk-in Closet and adjacent Full Guest Bathroom. 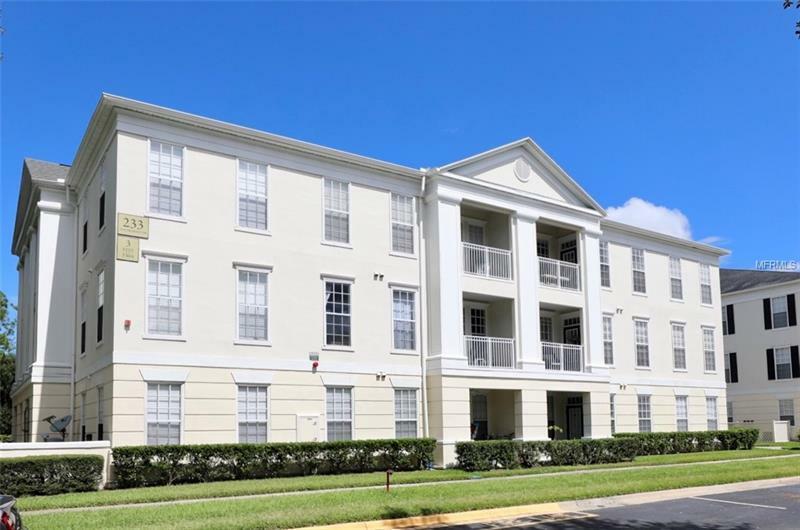 Disney themed Celebration Living at its Best and all of the Georgetown Amenities included, Resort Style Pool, Tennis Court, Playground, Fitness Center, Concierge Trash picked up at your door, Car Wash & Bulk Trash Disposal for Resident's Only. Enjoy the many biking/walking trails throughout the community. Also North Village Pool, sand volley ball and green parks steps away. Easy access via I-4 or 417 to Orlando's International Airport. Close to Disney World Resorts, Universal Studios, Sea World and all of Orlando attractions. Florida Gulf Coast Beaches and Atlantic Ocean Beaches near by. Enjoy Kennedy Space Center and Busch Gardens for the day. Make this your new Florida home you always dreamed of!! !